What a good deal in Shelby County!! $ 12,134. Per acre! 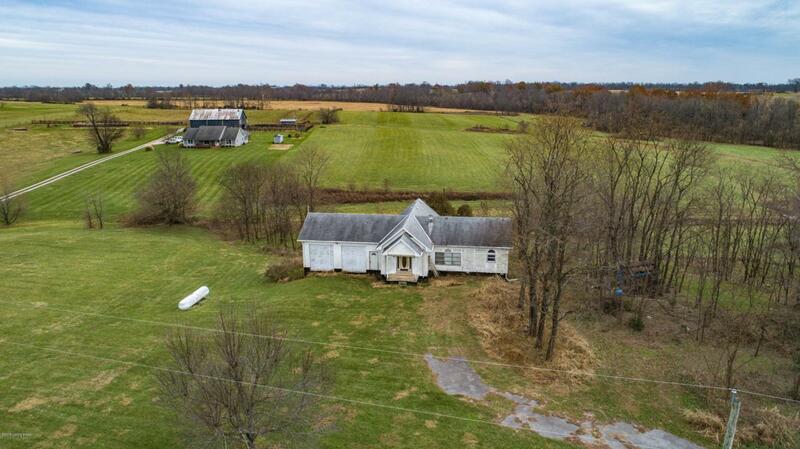 This beautiful 15 acre tract of land is close to Shelbyville for easy access to I-64 and Pendleton for easy access to I-71. The home isn't completed but is a bonus if you want to finish it or take it down and save the lumber and reuse the basement to build a new home in its place. Plenty of options with this one. The home has 2 bedrooms and one and a half baths. Some of the features of this home needs to be utilized as they don't make things like they use to. 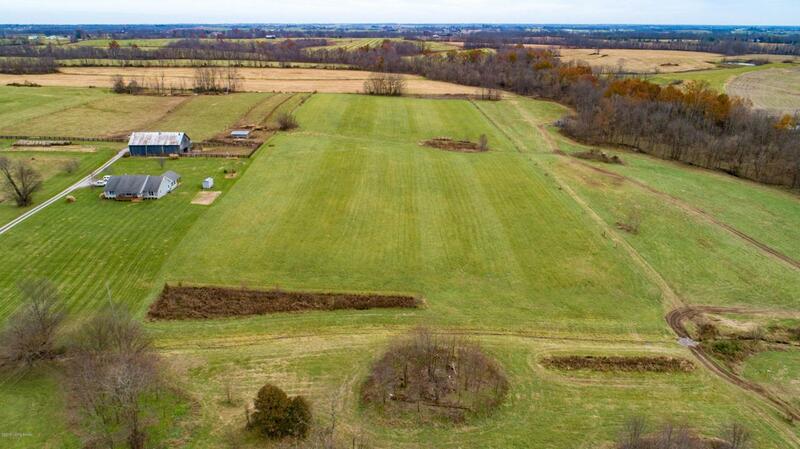 This home has pretty view of the gently rolling acreage that is a hay field. 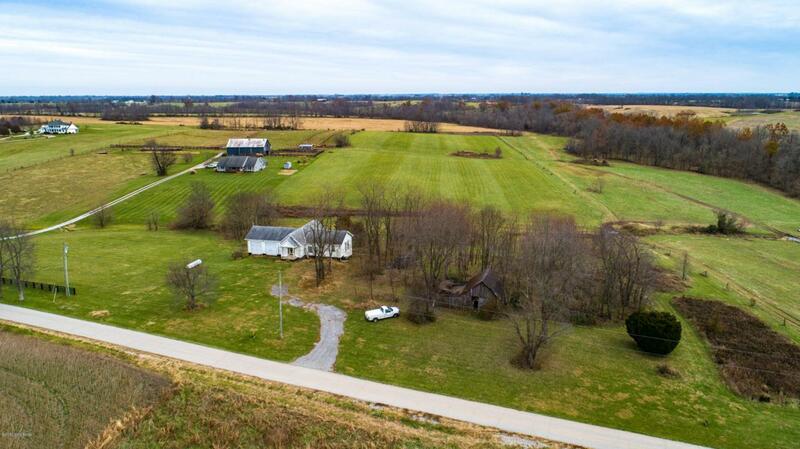 Would make a pretty little farm for animals and your family to enjoy country life. Call for your showing today!Please use caution around these doors. The Kitchen wasn't completed but it seems as though the water lines and drain lines for a kitchen island is in place. There is an inside door from the kitchen that would open into a garage but there isn't a main floor in the garage. This door is marked, DO NOT OPEN! THERE IS AT LEAST A 20 FOOT FALL FROM THIS DOOR! There is an older barn on the property along with a run in shed. Both in need of repairs. There is city water on along Drane Lane but there isn't a water meter. 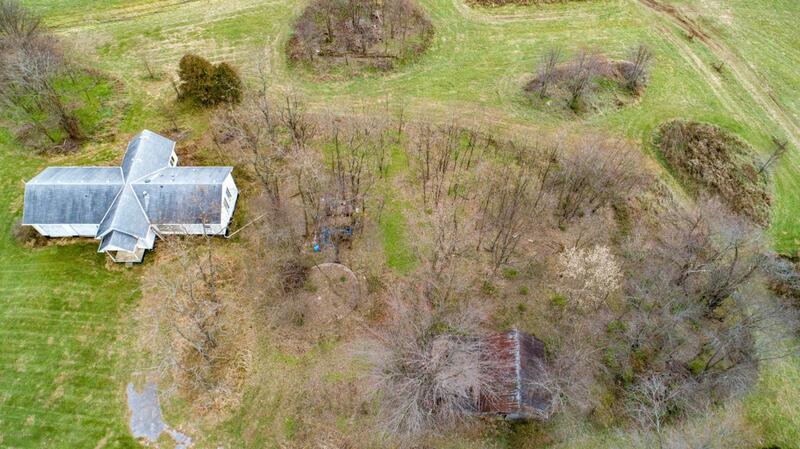 This property would be perfect for someone who wants to put their own touches on this house. Call today for your private showing.